From Friday, October 21, all primetime Indian TV shows have been banned in Pakistan. The ongoing tensions between India and Pakistan seem to be getting intensified every passing day. Recently, Zindagi channel, which introduced some popular Pakistani TV shows like Fawad Khan-starrer Zindagi Gulzar Hai, Tere Ishq Mein and others to the Indian audience, decided not to telecast Pakistani serials keeping in mind the current situation. Pakistan, on the other hand, banned all Indian films from getting released in the country. And now, the Pakistan Electronic Media Regulatory Authority (PEMRA), the body that monitors the content on television in Pakistan, has decided to completely ban Indian television and radio content. Effectively from Friday, October 21, all primetime Indian TV shows have been banned in Pakistan. "The current tense political situation and the actions taken by the entertainment industry in India to degrade Pakistan have helped PEMRA as the resistance in this regard has been reduced due to public sentiments," a source India Forums. Some of the popular Indian shows in Pakistan are Naagin, Yeh Hai Mohabbatein, Bhabiji Ghar Par Hai!, Thapki...Pyaar Ki, Qubool Hai and May I Come In Madam? among others. 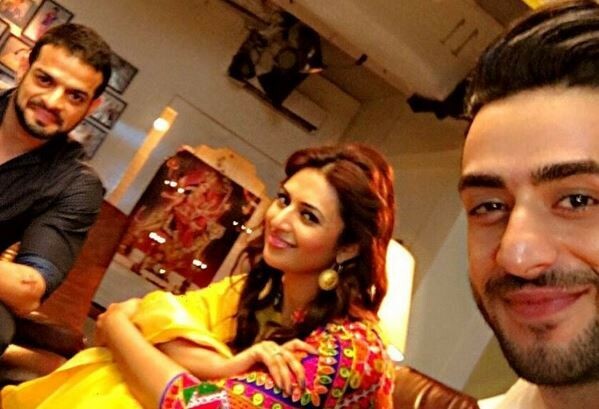 A few months ago, Yeh Hai Mohabbatein made headlines when PEMRA issued a notice to Pakistani channel Urdu1, which airs Yeh Hai Mohabbatein (originally telecast on Star Plus channel) from prohibiting the telecast of questionable content. The notice said that the episode aired on June 1 showed the characters engaging in obscene activities that violated the Electronic Media Ordinance 2015.